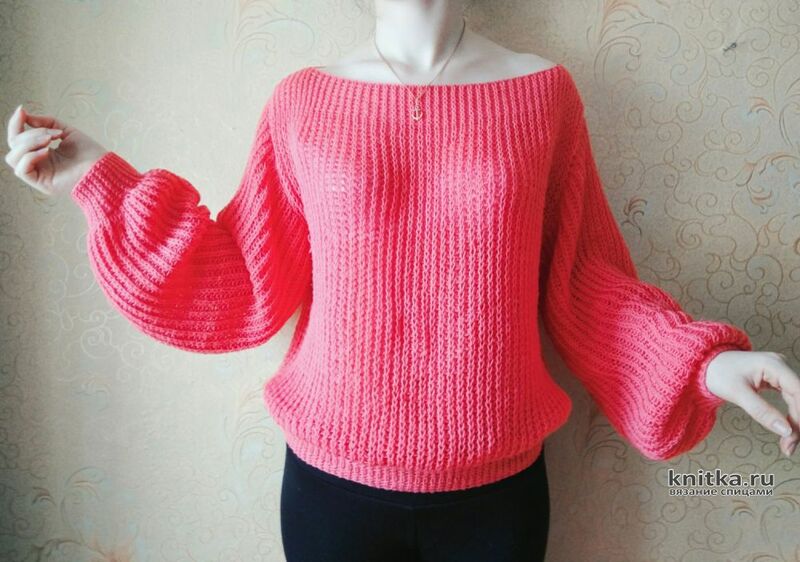 Pullover knitted from the Trinity "Bees", 100% acrylic, 500m/100g, it took 2,5 skeins coral color. Spokes number 3 and №8. Scored on circular needles number 3 194 loops and knit elastic band 1*1 the crossed loops, i.e. front loops knit in the front wall. This I had to ensure that the rubber band is less stretched when worn. After 20 rows of gum went on the spokes number 8 and knit already propatent rubber! 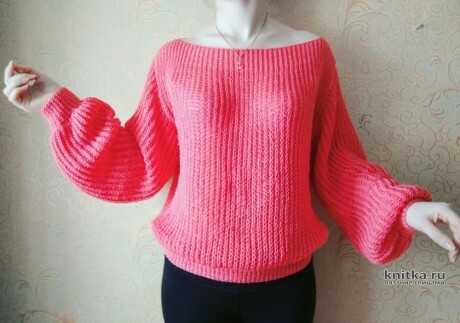 knit around to the armholes and then front and back separately. 5 cm before the end of the knitting according to the desired length, again went on the spokes number 3 and knit elastic band 1*1 the crossed loops as first, 5cm-7cm, close the loop. When connecting the shoulder bevels remaining in the center is already closed loop and will be the collar. Sleeves. Scored 54 loops on SP no.3 and 20 rows knitted elastic 1*1. During the transition to the thick spokes added for 1H. every 2 p. Continue to knit propatent elastic to the desired length. Extraordinary femininity, in my opinion, give it the gate boat and the volume of the sleeves have elastic bands obtained thanks to propatent elastic and big loops. 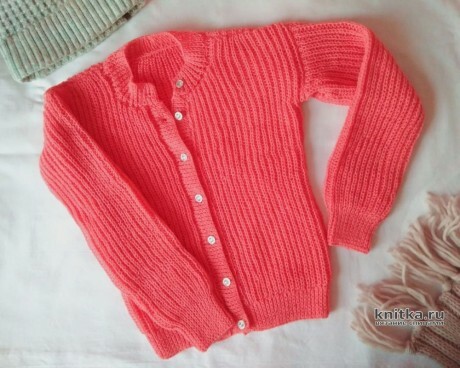 A blouse for teenage girl with buttons knit on the same principle: a big difference of numbers of spokes Nos. 3 and 6.